Feedoil Sp. z o.o. specializes in production of high-efficient fat concentrates meeting requirements of modern and healthy feeding of farm animal and contemporary technologies of feed production. 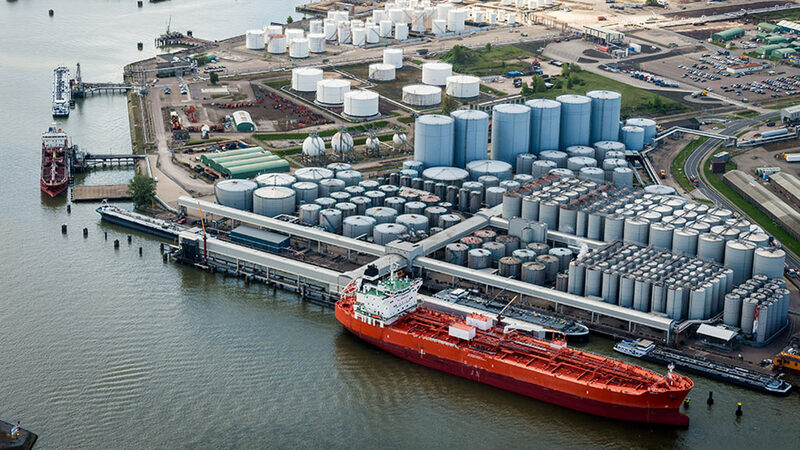 Additionaly, in our offer you could find crude and refined vegetable oils and fats destined for animal feeding purposes, as well as direct human consumption and other products. For distribution of our products we use our experience and logistic facilities. We work with feed producers and breeders producing feeds for their own needs. 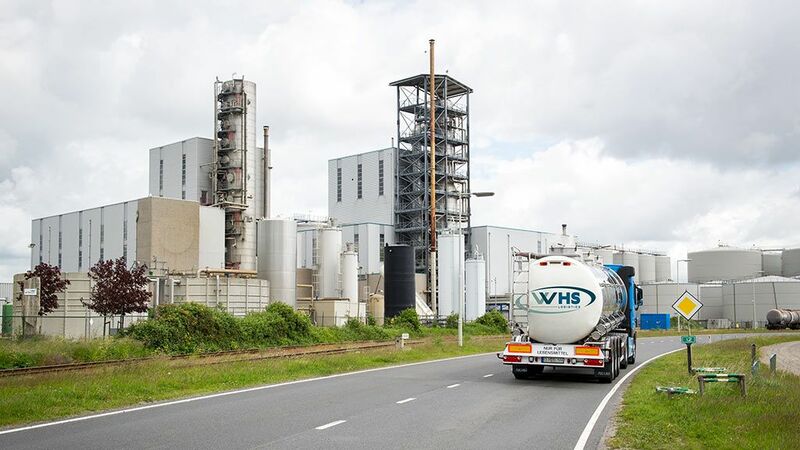 We focus knowledge and many years of experience of our employees and partners in technology and chemical engineering, petrochemical, laboratory analysis, animal husbandry and animal nutrition. We do our best to maximize all available resources in an optimal way to develop natural products in particular oils and fats for food production. Acting on the local market involving Poland and the neighboring countries, we take into account both the specificity of our market and global phenomenon. We are conscious participant in the process of food production. The safety of our products controlled in the laboratory, on-time deliveries, efficient cooperation in detail. As a result, we offer the highest quality confirmed by our customers. Fat concentrates Feedoil are complex mixtures of fatty acids and vegetable oils and fats. Their balanced fatty acid profile and physicochemical properties allow you to achieve high production results in animal feed. Other products: soybean oil, sunflower oil, Mycotox, Exal, rock salt, chalk fodder, complementary feed, feed materials, feed additives, edible oils and fats. Ask to send an offer. 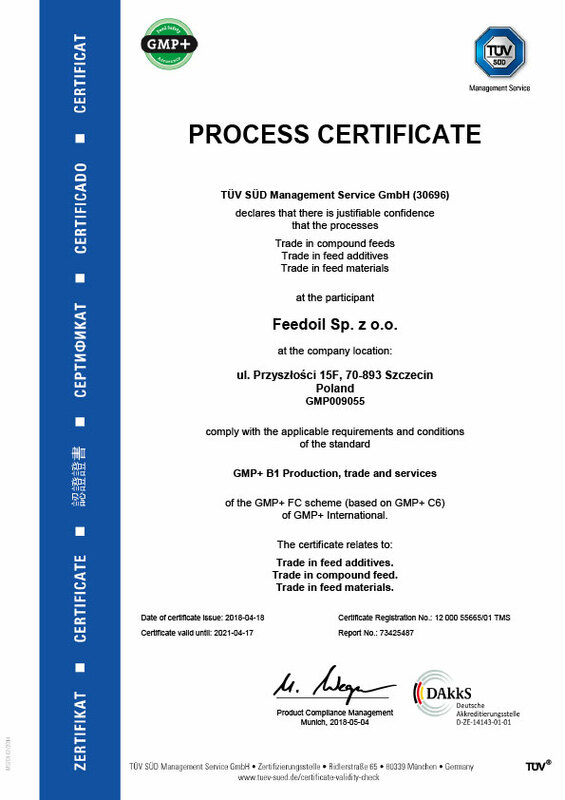 High quality of Feedoil is also determined by on-time delivery to our customers in appropriate conditions. We supply our products by specialized transport service dedicated exclusively to feed materials or foodstuffs provided by RunTrans company. FEEDOIL 30 guarantee adequate intake of energy at these stages of farming, when demand for it is the highest. It is recommended to use in mixture with animal fats, as well improves the digestibility saturated fatty acid with high content of essential fatty acids, including one of omega-6 fatty acid, linoleic acid C18:2. FEEDOIL 30-5 is a product enriched with medium chain fatty acids MCFA, while maintaining a high content of essential fatty acids. The addition of MCFA provides an increase of absorption of the nutrients as a result of the fact that the medium chain fatty acids are a source of easily and quickly available energy, which is particularly important in groups of animals with short digestive tract and a rapid growth rate (poultry), animals with weakly developed digestive tract (young animals, especially pigs) as well as for animals with underdeveloped digestion and absorption process (sick animals or during recovery). FEEDOIL 20 MCF ensures balanced fatty acid composition of the lipid fraction of feed, thanks to a well-balanced contents of both unsaturated fatty acids and medium chain fatty acids MCFA. 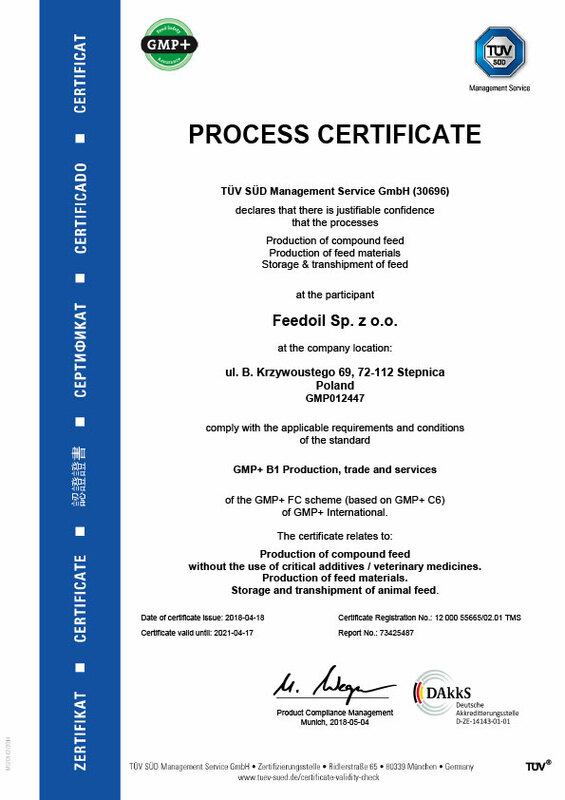 It is a combination of properties of Feedoil 55 MCF and Feedoil 30, so that it can be used as a individual greaser. The fatty acids in the unesterified form in Feedoil 20 MCF are easily absorbed, thus increasing the degree feed intake and absorption of nutrients. FEEDOIL 55 MCF is a liquid concentrate with a high content of vegetable origin medium chain fatty acids MCFA which possess bactericidal and bacteriostatic properties. This reduces the pathogenic microflora, and thus enrich the growth of probiotic bacteria. Another result of supplementation FEEDOIL 55 MCF is elongation of intestinal villi, which increases the surface area of the intestinal epithelium. As a result the processes of absorption of nutrients is improved and thus livestock production. On September, 11-12, 2018, an audit of high-class specialists from GMP+ International, the owner of global GMP+ standard, took place in our company. The entire scope of GMP+ system operation in our company was controlled. It was a unique opportunity for us to verify the work we have done so far in maintaining and developing the quality management system and exchanging experiences with prominent specialists. We introduce in our offer FeedFat - our brand, rumen bypass fats. 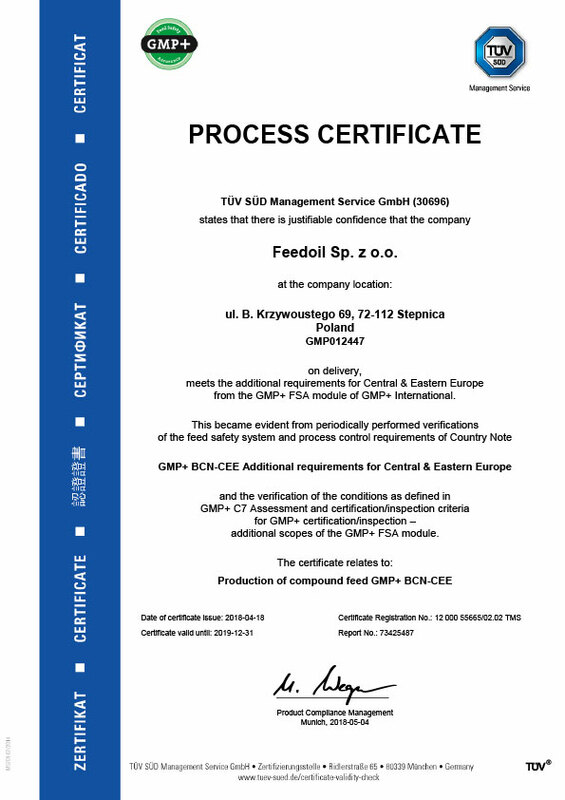 Certification of GMP+ B1 system and GMP+B1 BCN-CEE location Krzywoustego 69, PL72-112 Stepnica and GMP+ system location Przyszłości 15F, PL70-893 Szczecin. Changing the main shareholder, the Company's authorities and name. Since then, the company is Feedoil! The successful audit of company certifying the internal safety and quality management system according to GMP + performed by Dekra Certification.